If you’ve been thinking about adding a sunroom to your New Castle County, Delaware, home, turn to the experts at SRA Home Products. 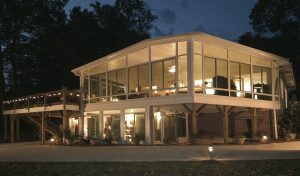 We’re pleased to exclusively install sunroom additions manufactured by TEMO, the nation’s largest sunroom manufacturer. TEMO constructs their sunrooms using HPG 2000 glass, which is four times stronger than annealed glass and offers an SPF of 59 (upgradeable to an SPF of 85). Their sunroom additions also feature thermal wall systems with sag-resistant welded corner screens, as well as hidden fastener systems that minimize visible screws. California — Our California sunroom additions feature a contemporary split-level design that will let in additional sunlight. Cathedral — If your home was built using a traditional architectural design, you may enjoy our cathedral model, which includes elegant vaulted ceilings. Conservatory/Solarium — Families who enjoy looking at the stars will love our conservatory and solarium styles, which both feature polycarbonate roofs. 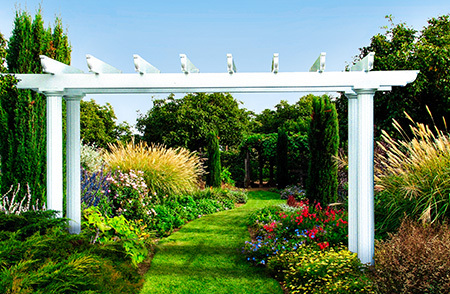 Santa Fe — Our Santa Fe sunroom additions will add extra flair to your backyard with Mediterranean-inspired pergola trim. Studio — Our studio model provides optimum versatility. It’s available in one-, two-, three-, and return-wall configurations, making it perfect for homes of any shape. We also carry sunroom additions from TEMO’s Nino Vitale Signature Collection. These are ideal for homeowners seeking full architectural integration, as they come with customization opportunities such as optional knee walls and matching brickwork/siding/roof styles. 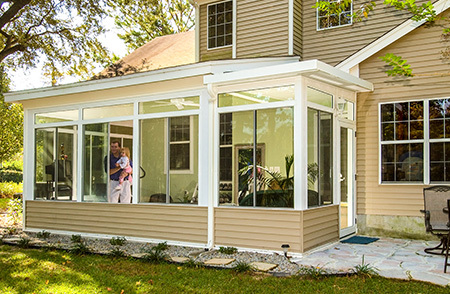 If you’re in the New Castle County, DE, area and you’d like to learn more about features included with each of our sunroom additions, please contact SRA Home Products today.